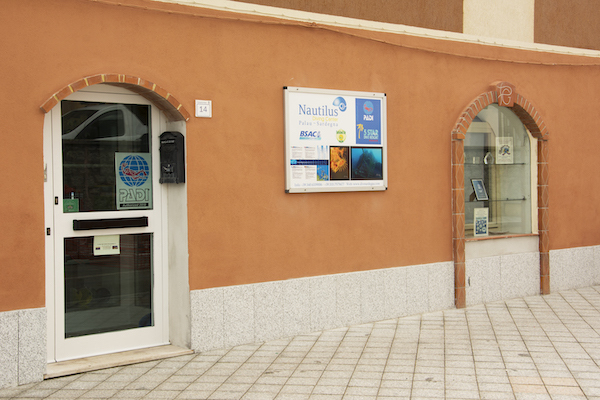 Created in 1994, it is also the first established Padi dive center in Palau Sardinia. Our strategic location next to the unique and preserved area of the National Park “La Maddalena Archipelago” and the Marine Reserve of “Lavezzi” (Corsica) makes our diving trips ideal. Nautilus Diving Center diving Facilities is located in the centre of Palau and just a 1 min walk to the port, it’s convenient and has easy access. Your tanks are filled with high care using a MCH 26 Coltri Sub double compressor, which we also use to fill our Nitrox for safer diving, Nitrox is safe and easy to use. This insures our air to be top quality. Our highly maintained diving equipment are Aqualung regulators, Technisub BCD’s, Seacsub suits full length wetsuits, hoods if needed, computer, fins and masks. We dive with steel tanks 12lts. We also have a few 15lt and 10lts. All our tanks come with int and din. 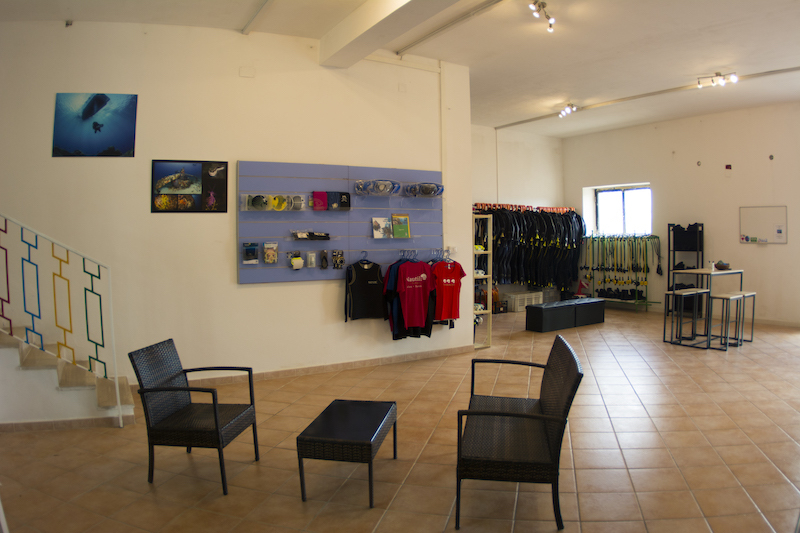 Nautilus Diving Center also have a in house shop with a small selection of items for sale. Owned by Padi Professionals and experience diving instructors we offer a whole range of PADI courses from beginner’s to professional level as well as Technical diving courses supported with all the adequate educational material in all languages. Bring your laptop to our Diving Facilities and get free WiFi with Nautilus Diving Center. 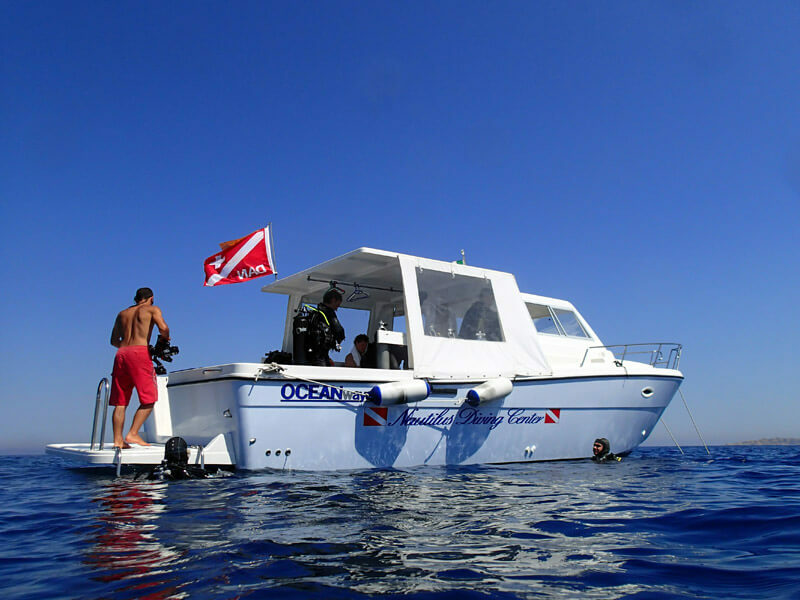 To enjoy your Scuba diving experience with us we take you on board our custom built dive boats , this ensures that your diving trips are comfortable, enjoyable and safe. 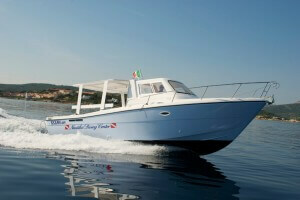 Our policy is safety first and for that reason we accept limited number of divers on our boats. 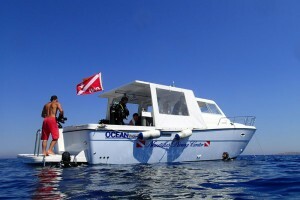 We are proud to offer to all our Scuba diving guests a 5* service on board. All the diving equipment is prepared for you and changed over for your next dive and also packed for you. Our main dive boat “Selamat Jalan” is custom built for diving, 11 mtr with 2x 300 hp engine equipped with GPS, VHF, Echo sounder, 1 meter diving platform with ladder, DAN O2 emergency oxygen and MFA box. 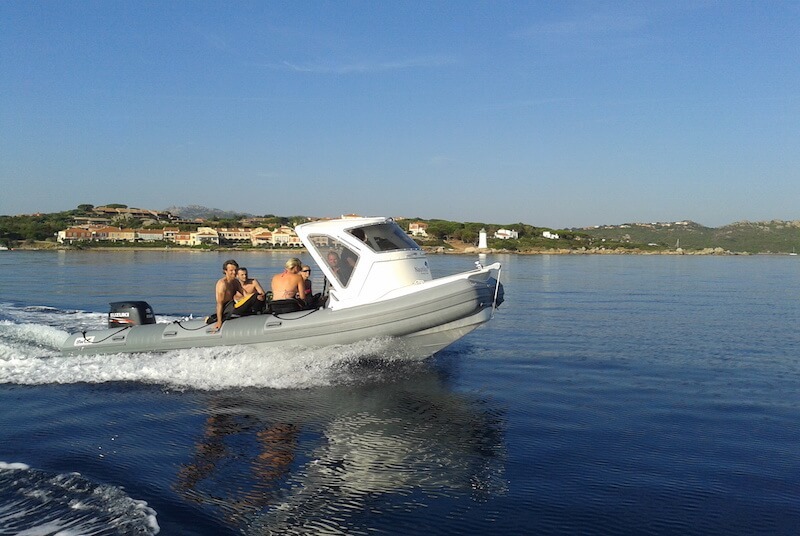 Our new and comfortable zodiac, a BWA 6.5 meter rigid hull rib powered by a Suzuki 4 stroke 150 hp outboard, ladder, front cover. It is equipped with all safety items, Gps, emergency O2 and MFA box. Smoking is NOT allowed on both of our boats.